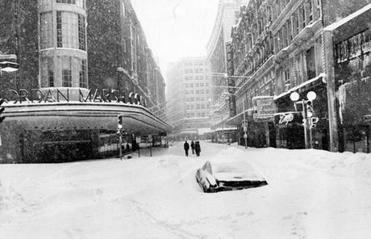 You sent us a flurry of Blizzard of ‘78 stories. Here are some of the best ones. 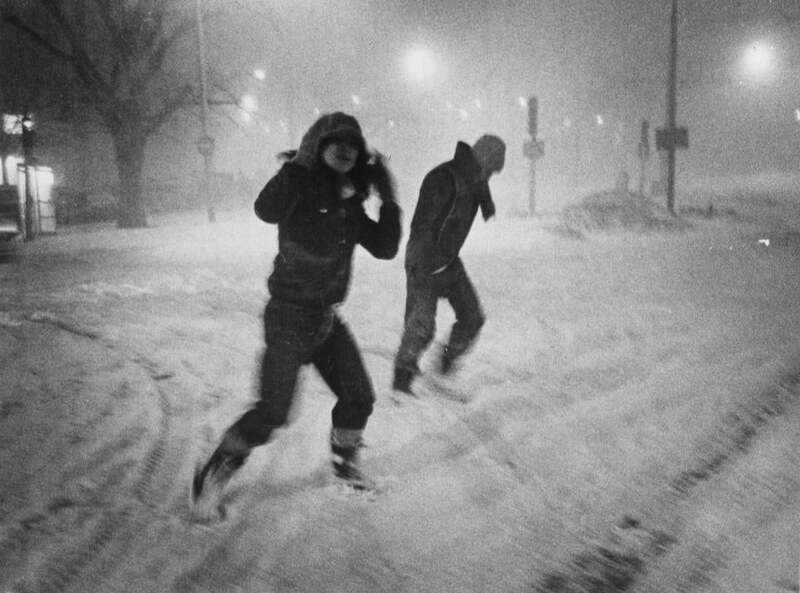 Pedestrians crossing Commonwealth Avenue during the storm. The Globe’s call last week for reminiscences about the Blizzard of ’78 resulted in a veritable flurry of stories from our readers. While the storm was deadly and destructive, it was 40 years ago, so for many people who responded, memories of the storm were memories of youth. People wrote about confronting Nature’s power, enjoying strangely carefree days off from work or school, and helping each other out. Drinking beer was also a major theme, as well as jumping into snowdrifts and being caught in the storm at the Boston Garden during the Beanpot. ■With all kinds of people thrown together because of the storm it’s no wonder that some new relationships were forged. Several people reported that they had met their future spouses during the blizzard. ■Stranded at a movie theater, a teenage usher saw helicopters bringing in supplies, including his favorite, beef stew. ■In Framingham, a son saw his father, normally a quiet man, lose it. ■A man was forced to leave his puppy alone for days his apartment ¬— and got a surprise when he got home. ■Some people told tales of unusual alternative transportation. ■Wise choices weren’t always made. The next day we got a call from the Amvets post, they were open and partying. So with our beer brains we headed out. I tied trash bags to my legs,there was snow to above the stairs (5’ + ) the slush was slowly moving down the street so we walked on top of the snow banks, I slipped off into the waist high moving slush, of course the bags filled up, dragged me down the street under water, I panicked, crawled out and clawed my way up the snow bank. Just then lightning hit a transformer nearby and it exploded into a massive fire ball. I scurryed on my hands and knees thru the snow. I don’t remember much after that until I was back inside. I remember thinking God just sent me a message to get the hell out of there. — Ed C.
■The snow created some eerily beautiful scenes. ■People helped each other out. ■And, while many got the day off from school or work, some did not. My husband, Tim, worked for the US Army Corps of Engineers in Waltham and was put in charge of snow removal in Providence. When he approached the RI state line, in a Corps vehicle with an additional placard saying “emergency snow removal team,” the RI state police stopped him saying the state was closed to all vehicles. They said he would not be allowed in until the snow was cleared. When Tim said the snow would not be cleared until he got there, the troopers still denied his passage. Tim put the car in geared and slowly pushed through the troopers and continued on to Providence. I was a conductor working on intercity trains between Boston and New York on Amtrak. Although regular service was disrupted , Amtrak ran trains between Boston and New York right through the storm while all other forms of transportation were suspended. Amtrak was literally the only way in and out of the city for the whole week and we were never acknowledged or given any other recognition. — T. Driscoll, Amtrak Conductor, retired. The fact that everyone but me it seemed was playing in the snow while was working the whole week, keeping the heat going on my buildings (I was the chief engineer at Charles Park at the time). The first night we kept experiencing rolling power failures. Every ten minutes or so there was a failure and all the heating pumps would drop off and had to be manually re-started before the pipes froze. If that had happened we could have lost the buildings. My normal night crew (one guy working alone) was there fortunately and kept chasing around the complex restarting pumps. He used a bicycle before the snow got too deep. Eventually several of my crew made it in to help. They received full pay until Friday night when the roads opened up. — Richard Usen, PE. ■The storm also had an impact in rural areas. ■For some, the snow inspired creativity. ■And, of course, there was the partying. One broke out, aptly enough, on Beacon Hill’s Joy Street.